A cell is a holon. So is an organ, and a person. Canvases are as well, even those that have been streaked with paint, according to Pacha Hornaday. The SLO-based artist, who originally hails from East Germany, first encountered the word in a passage of a book addressing the development of consciousness. From this she coined the term holonic as a description for the art movement she was hoping to launch in San Luis Obispo. GUTSY COLLABORATORS : (l-r) Glynis Chaffin-Tinglof, Carol Paquet, Sarah Winkler, Stephen Olson, Pacha Hornaday, Anne Stahl, Drew Davis, and Ellen Jewett create holons as part of the SLO-born Holonic Arts Movement. Hornaday’s communal-oriented approach to art may stem from her East German roots. She almost wistfully describes the collaborative world she left behind, a community where artists would meet once a month and paint from 8 p.m. until 8 a.m. She sought similar opportunities on the Central Coast, joining groups and attending workshops, but her optimism soured into something more like boredom after endless hours of talking about art. So, she started passing out canvases. This was in 2006. When a canvas returned she would pass it along to yet another artist, requesting that they contribute to the piece while respecting the original creator’s work. More often than not she’d have a hand in each piece as well. Most of the canvases were touched by no fewer than six artists. When some of the pieces returned the artists had completely obliterated any reference to the previous artist. The impulse was simply too strong for artists accustomed to working alone. When the experiment works, each phase of the painting is its own masterpiece but the truly unique—and fascinating—aspect of the movement is identifying how the artists respond to themes, symbols, and colors within each other’s work. In one image a figure drifting off to the side is ripe for intellectual plucking. In another a streak of color may pique an artist’s interest. Of the more than 20 canvases Hornaday has assembled thus far, more than 60 artists—some of them from as far away as Finland, Germany, and Peru—can claim ownership. Hornaday posted information about her movement on deviantART in order to attract an international palette. But even her diverse assortment of local artists is impressive, reading like a Who’s Who of movers and shakers in the local arts world. 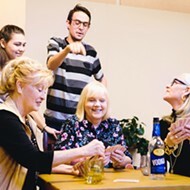 Peter Steynberg, Alissa Maddren, Steven deLuque, Peg Grady, Lena Rushing, and Glynis Chaffin Tinglof are just a few of the creators that Hornaday recruited for her playful effort. 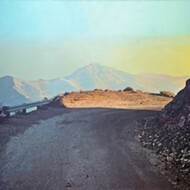 But without a specific focus and intention Hornaday’s canvases may have circled the globe endlessly. Then, in February, she received an Arts Inspires grant from the Community Foundation. In addition to funding more supplies the grant required her to exhibit her holonic work within the year. 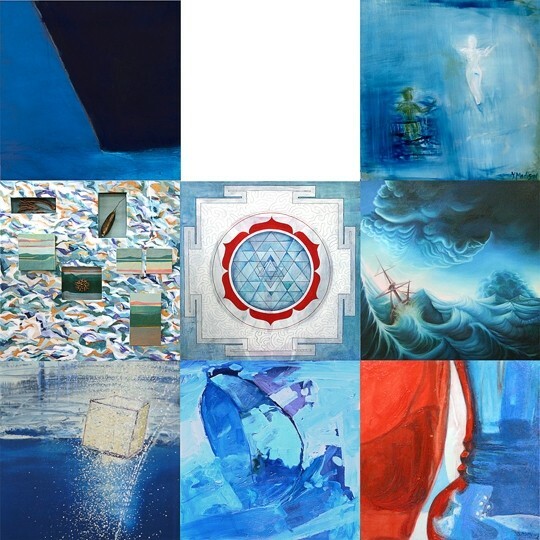 BLUE VESSEL : Created by Anne Stahl, Adrienne Allebe, Xenia Madison, Glynis Chaffin-Tinglof, Drew Davis, Stephen Olson, Carol Paquet, Jimmy apRoberts and Brian Christopher (whose space is currently blank), and Pacha Hornaday. So, Hornaday began searching for a space for her event, which couldn’t simply be an exhibition of the work that had already been done; she wanted to create yet another opportunity for artists to work together. 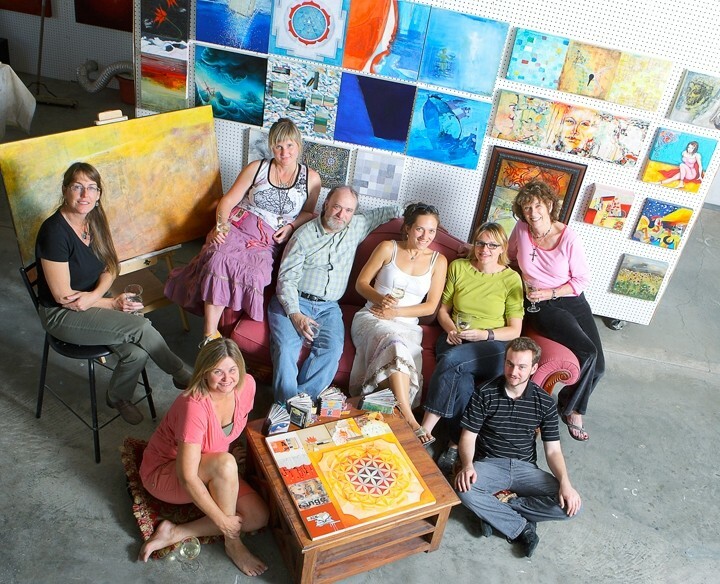 She eventually settled upon CorkStop Studios, a barn space and studio in Arroyo Grande operated by three contemporary abstract painters—Carol Paquet, Xenia Madison, and Anne Stahl. In addition to a sale of the work on Sept. 20 from 5 to 9 p.m., CorkStop Studios will host a mixed media collage FATbook workshop. Under Sarah Winkler’s guidance, artists that register for the workshop will participate in multiple projects including collages and journals. At the end of the session, the artists swap pages with one another, each walking away with a freshly created and bound book full of all the participants’ artwork. According to Hornaday, the workshop, which has a $35 participation fee and lasts from 1 to 5 p.m., has the capacity for 30 artists. But she’d be pleased with an intimate atmosphere and half that number as well. In addition to individual canvases painted by many creative hands, Hornaday made use of several other collaborative techniques, including exquisite corpse—which local artists Jimmy apRoberts and Brian Christopher have utilized to remarkable effect. She also mailed several of her international artists smaller panels, and a theme, theorizing that the smaller panels would form a larger piece. Sometimes the theme is as simple as a color, like orange or blue. As individual segments of the collective piece are sold new artists will fill the empty space, making the work ever-changing and alive—not unlike a worm that reconstructs itself after being halved. Sometimes the process simply doesn’t work. 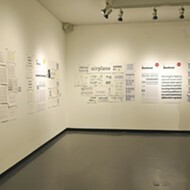 One artist’s interpretation of a theme won’t mesh with the work presented by the other participants. Or an artist will commit to creating a panel and fail to come through. On one particularly disappointing occasion a panel returning from Peru was lost in the mail. But these obstacles have not prevented the determined Hornaday. For every panel that is lost in the mail or assigned to a flaky artist, she has another opportunity to get her hands on a canvas. Beyond creating an opportunity for local artists to play, Hornaday’s Holonic Arts Movement sale will benefit homeless children in Columbia. When she first began selling her work in San Luis Obispo, Hornaday committed a portion of her sales to Sonrisa, a small, private organization where a little bit of money has a big impact. And, ultimately, it is the thoughtful juxtaposition of large and small, and the fact of smaller elements accumulating into something infinitely more meaningful, that Hornaday’s holons are all about. The Holonic Art Movement is taking off with a workshop and art sale Sept. 20 at CorkStop Studios in Arroyo Grande. A mixed media collage FATBook workshop will take place from 1 to 5 p.m. and collaborative pieces that have been traveling the world between artists will be on sale at the studio from 5 to 9 p.m. 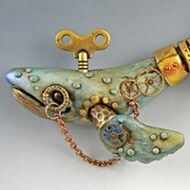 Registration for the workshop costs $35 and can be done by visiting www.HolonicArts.com or calling Sarah at 466-1380. Registration deadline is Sept. 20. CorkStop Studios is located at 1250 Judith Lane in Arroyo Grande. Arts Editor Ashley Schwellenbach apparently tried to host a rock concert in a cemetery. Say ‘what’ at aschwellenbach@newtimesslo.com.